Martinsville, Ind. – In the interest of public, firefighter and community safety, Fire Chief Terry Anderson asks that residents and property owners with a fire hydrant located on or near their property see that access to those hydrants be kept clear of any obstructions. Those obstructions may be, but are not limited to, plants, overgrowth, yard ornaments and decorations, vehicles, fences, etc. Hydrants are visible to the fire department when responding to a call in the area. Firefighter Safety – Removing obstructions prevents firefighters from stumbling over items around the hydrant and getting injured. There is no delay of the fire department getting water to a fire. Operation of the hydrant can be slowed if you have objects that interfere with the turning a hydrant on or off, as the wrench may only have a short area to travel in. This requires the wrench to be repositioned multiple times during the opening and closing process. Firefighter Safety – When firefighters operate a fire hydrant, they should be standing on the back side of the hydrant, away from the hydrant connections. This places their body out of the way if the hose should fail or unsecured caps on the hydrant were to “blow” off and strike the firefighter. The overgrowth may contain poisonous weeds, stinging insects, snakes, and even discarded syringes. The fire code requires a 36-inch clearance around fire hydrants. Letters are being sent to residents and property owners that currently have these issues, in hopes of a voluntary compliance. Chief Anderson thanks you, in advance, for assistance in this matter. 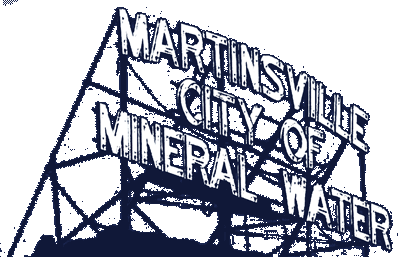 For questions, contact the Martinsville Fire Department at 765-342-2343.